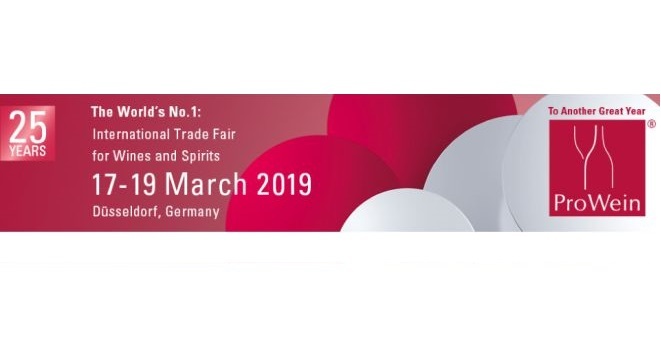 The ProWein 2019 trade fair will be held 17 to 19 March, Messe Dusseldorf, Germany. New in 2019! With the special event same but different, ProWein was making available for the first time a separate hall to producers of craft spirits, craft beer and cider. Why exhibit at ProWein 2019 Dusseldorf? Over 6,870 exhibitors from 64 countries provided a unique global overview of the current wine and spirits ranges. Over 60,000 trade visitors made use of this platform to place orders and gather information. Since 25 years, ProWein proves to be the No. 1 event for the industry. Let’s meet in Dusseldorf!